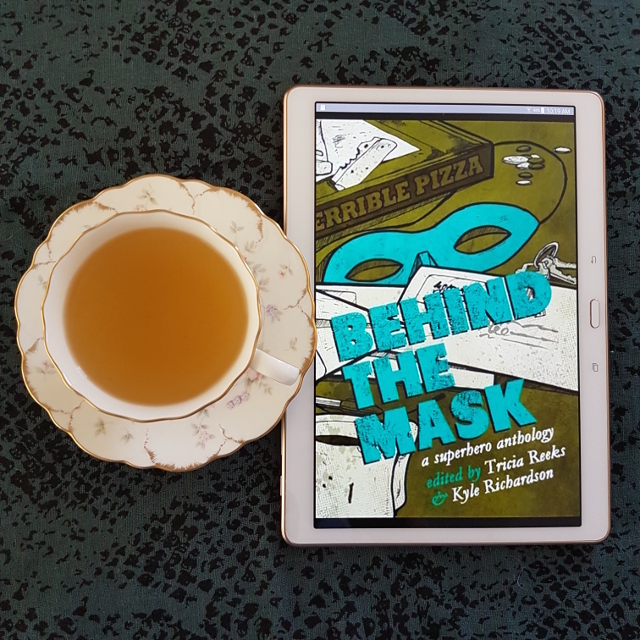 Behind the Mask is an exciting collection of short stories about the everyday lives of superheroes. Ranging from laugh-out-loud funny to deliciously dark, these stories are about the ordinary day-to-day challenges facing these extraordinary individuals growing up, growing old, relationships, parenting, coping with that age-old desire to fit in when, let’s face it, they don’t. Behind the Mask is a solid collection of short stories that nevertheless left me feeling ambivalent. Since I’m not much of a short story reader, this could definitely be more a reflection of my reading taste than the anthology itself. However, I didn’t find myself hurrying back to it. The stories often focused on the domestic and the personal, which I rather enjoyed. They’re less about the big, flashy battles–though those make the occasional appearance, such as in Seanan McGuire’s story Pedestal. Instead, the stories use their superheroes as lenses to examine themes such as memory, chronic illness, celebrity, and family dynamics and legacies. These stories are often quite poignant, such as Destroy the City with Me Tonight by Kate Marshall. It also means this isn’t the most up-beat of anthologies. The tone tends towards the melancholy, and while there are notes of hope throughout, they tend to be muted. I’d like to make special mention of Stephanie Lai’s The Fall of the Jade Sword. The story provided an excellent contrast to the fare of standard Western superheroes. Instead, it offers a historical fantasy about a young Chinese immigrant living in Melbourne. Chafing under the confines of social expectations, she sneaks out and attempts to emulate the local superhero–a figure the Chinese community recognises as a skilled practitioner of Wushu. It provided a breath of fresh air in an anthology otherwise fairly uniform in tone.